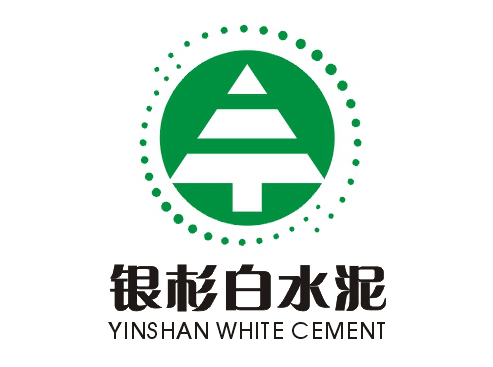 Jiangxi Yinshan White Cement Co., Ltd.
Top 1 White Cement brand of China, Capacity over 600,000 tons per year. Exported to more than 12 countries, ISO 9001:2008 Approved, Academician and PHD Workstation. Jiangxi Yinshan White Cement Co., Ltd. is a large-scale and modern white cement manufacturing enterprise. Adopting international advanced technology, Yinshan is specialized in producing white cement of high whiteness, high strength, excellent fineness and low alkalinity, including P.W grade 52.5,P.W grade 42.5 and P.W grade 32.5 white cement. Yinshan factory is located at Industrial Development Area, Anfu County, Jiangxi Province, it is granted with a convenient traffic, available to G45 Daguang express way, national roads, provincial roads and with railways and waterways extending in all directions. Currently, the company is equipped with one modern new dry white cement production line with daily output as 2,000 tons. Internationally advanced technology for white cement manufacturing is adopted. Both equipment optimization and automation control from homogenizing of raw materials to product color and intensity control are beneficial for the maintenance of product quality and its leading position in this industry. As a result, it manages to become a large-scale white cement manufacturer in domestic and match with the largest white cement enterprise globally. As one of the two domestic enterprises able to provide white silica cement of P.W Grade 52.5, Yinshan White Cement succeeds in producing various products with all technical indicators better than regulated requirements specified by GB/T2015-2005 and EN197. Based upon the domestic market and radiating to whole world market, the company strives to deliver first-rate service to customers from domestic and abroad.